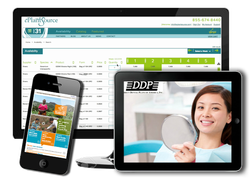 Latitude 40 develops custom software applications of all types and sizes, ranging from small apps for mobile devices to large-scale custom ERP solutions for large businesses. We also offer business consulting services to help you streamline procedures and work out the right technological direction for your company. Ready to take the next step? Schedule a no-risk consultation with the Latitude 40 team. As your business grows, your older processes and procedures tend to bottleneck your expansion capabilities. Our imaginative business process analysts can help design some custom automation to help streamline your processes and improve performance. Another thing that can happen over time is eventual reliance on too many disparate systems. Each one has its own use and relies on data that is most likely duplicated in other systems. It might make sense to create automated interfaces to handle that data transfer and any data conversions for you. However, even that can lead to very complicated workflows. An alternative is to consolidate the systems themselves as much as possible removing the problems associated with duplicate data altogether. Whether you have an idea for a new mobile app that you'd like to create for iOS, Android or other mobile platforms, a new service you'd like to offer in a cloud environment, or if you need help with a new enterprise ERP solution for your business, we can help you design and create it. In this day and age, a website is no longer just a marketing tool. It has become a communication portal allowing you to conduct business with your customers in the form of e-commerce, customer service, support, etc. The web has become the world's primary business tool and we can help you take advantage of it. Web apps are also being used more and more for internal business software. It provides a nice alternative for remote employees over traditional remote access techniques (restrictive VPNs for example) and can still provide a very high level of security. The recent and swift advance of the mobile technology revolution has brought with it the possibility of a new channel of communication with your customers. Aside from its increasingly essential use as a promotional vehicle, it's also become a tool businesses use to increase internal productivity and communication. Mobile technology has also provided a new opportunity for entrepreneurs to build entire businesses around mobile applications. The App Store and the Android Market each are approaching 2 million offered apps. If you have an idea for an app that you'd like to add to the mix, we can help you construct it.